The allure of Autumn is starting to rub off as it's starting to get very cold fast here in the UK (yes 10 degrees is freezing!) So along with the extra layers and switching up our wardrobes, this is also a good time to switch up our skin care and amp up the moisture. I've been using this great skincare duo lately as my arsenal against dry skin, which I'm really excited to share with you guys. If you're after a day and night moisturiser to help hydrate your skin against the elements and keep it looking more fresh and less frozen, then read on! 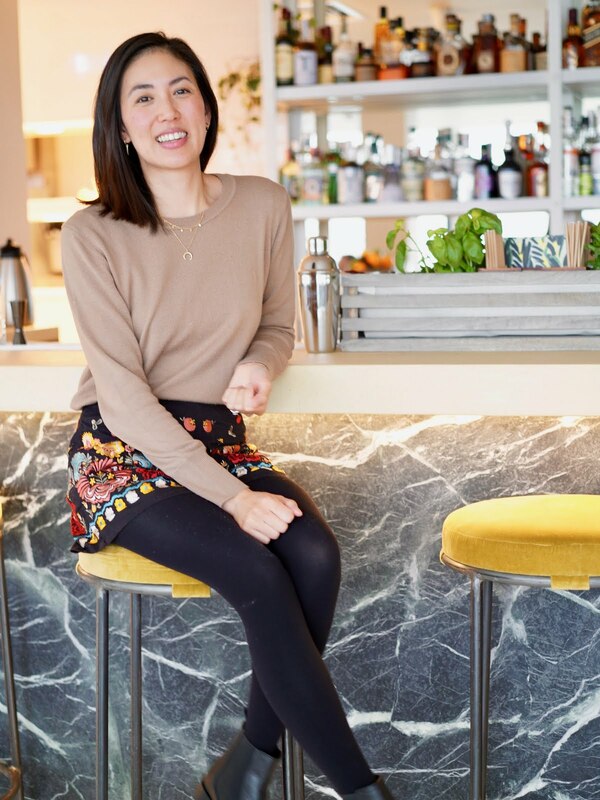 I never used to worry about anti-ageing products but I have to admit I've been a bit obsessed with keeping my skin that little bit more firmer and line free recently. I even went to have laser and light surgery to try and blitz my dark spots but I found it really uncomfortable and I don't see myself going in for more treatments! 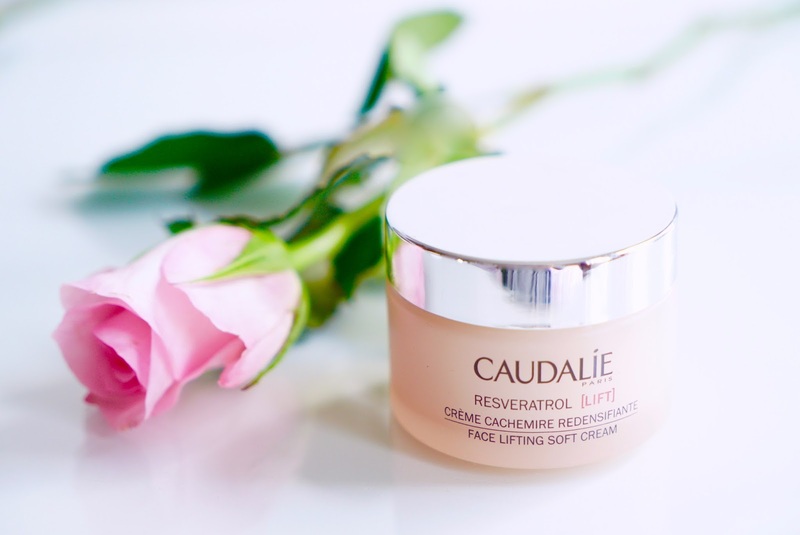 Anyway for a much simpler and gentle way to look after your skin, I've been using Caudalie's Resveratrol Face Lifting Soft Cream* (£42 for 50ml) which is aimed at those with anti-ageing concerns and suits all skin types. Like all skincare products then need time to work and see results, I've been using this moisturiser for about a month now and so far so good! You guys know Caudalie is a skincare brand I trust and this moisteriser is another one to add to my favourites. This beautifully whipped cream looks thick in the pot but sinks into your skin easily without feeling heavy. It has a lovely comforting scent, contains grape seed oil to nourish and repair, hyaluronic acid to add moisture and plumpness and resveratrol to combat wrinkles and add firmness. It also comes with a small plastic spatula to scoop out the cream, so nice and hygienic to use too. 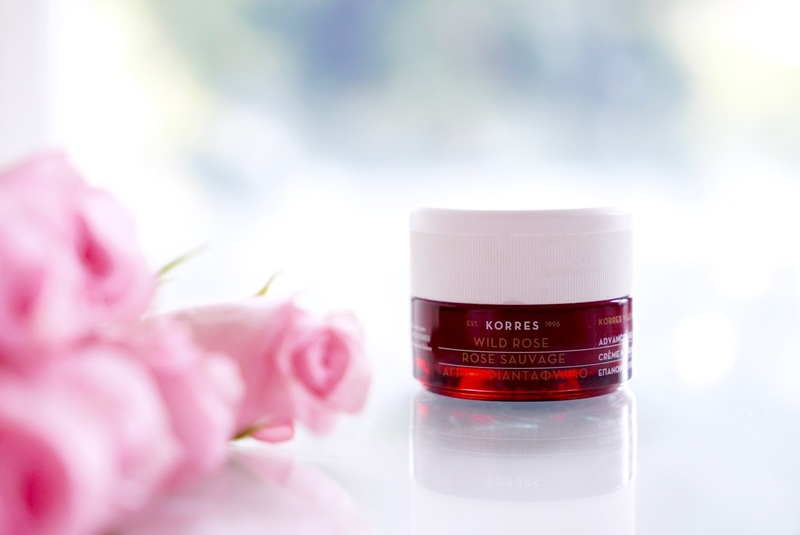 The Korres Wild Rose Advanced Repair Sleeping Facial* (£26 for 40ml) is the no 1 best selling Korres product in the US and is dubbed beauty sleep in a jar. When I read this, I was definitely intrigued there was a lot of buzz and glowing reviews about this product. So when I received this moisturiser to review, I couldn't wait to add this to my evening skincare routine. A cross between a face mask and night cream, this product enhances cell renewal overnight, with it's blend of Wild Rose Oil and vitamin C to brighten the skin and restores even skin tone. It also contains hyaluronic acid, aloe and jojoba oil - all combined to boost your skin's natural collagen. This all sounds impressive right, some powerful ingredients going on here. I wasn't expecting miracles when I first used this cream but after using this every night for the last month or some, I've very impressed. 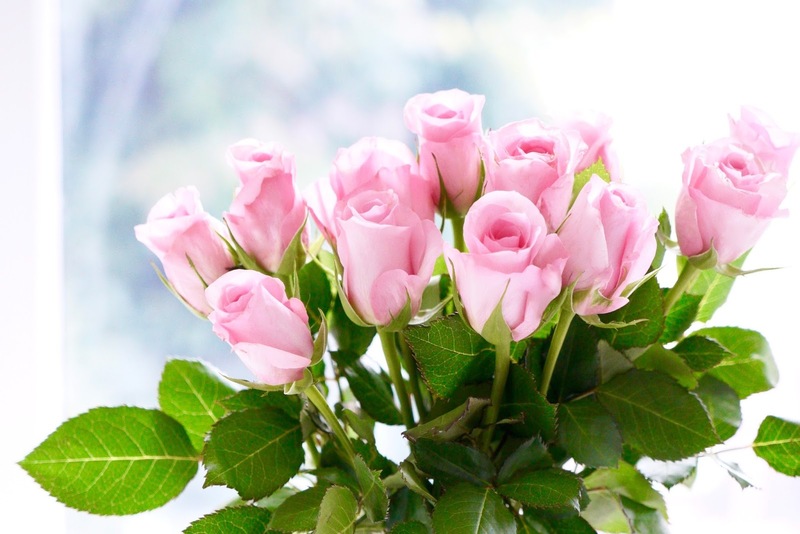 First off the scent is divine, the mix of rose is instantly soothing preparing me nicely before I go to sleep. I'm not usually a fan of scented products but if you've used Korres products before you know how amazing their products smell! The texture is thick and needs a bit of work blending onto the skin but once on the skin it feels nourishing not sticky. It also has a slight cooling effect, which feels really refreshing. In the mornings, my face feels soft but not tacky. Other oils and night creams I've used in the past usually leaves my skin a bit parched and dry when I wake up so this has been a nice change! I can't see dramatic results but my skin is soft and slightly plumper especially as it's been getting really cold. Final verdict? This night cream is packed with everything you need to boost your skin overnight and leaving it soft and nourished in the morning. I can see why it's so popular and for £26, it's affordable and looks pretty on your night stand. 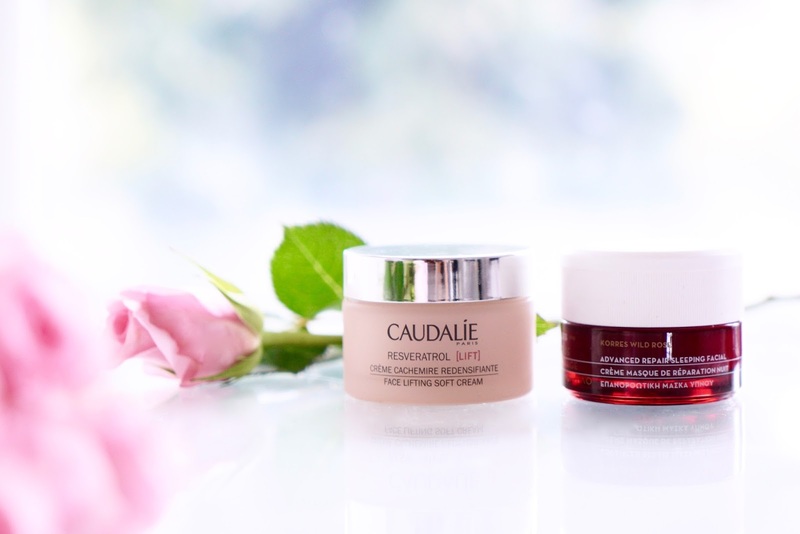 This combined with the Caudalie Face Lift, I feel this is a absolutely dreamy skincare combo. My skin has never felt so soft, makeup goes on well and doesn't feel dry or tight. Thumbs up from me! What are your favourite day/night creams?